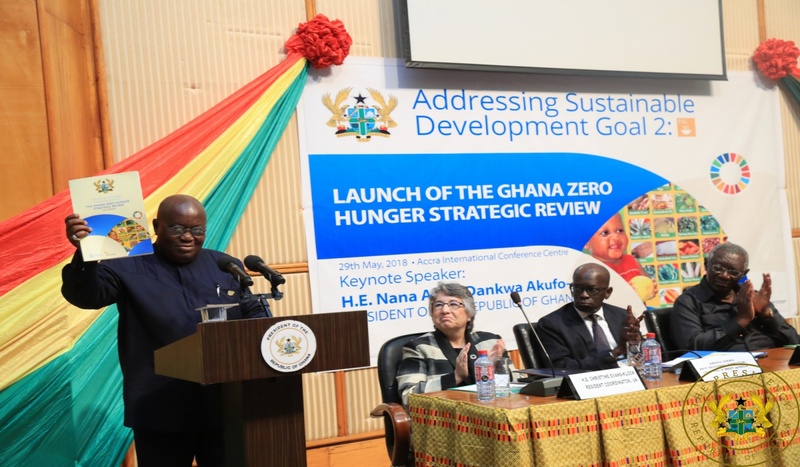 President Nana Addo Dankwa Akufo-Addo on Tuesday, 29th May, 2018, launched the Ghana Zero Hunger Strategic Review Report, aimed at ensuring the realization of Sustainable Development Goal No. 2, which will help the country chart a sustainable path to ending hunger, food insecurity, and all forms of malnutrition by 2030. Addressing the event which was organized by the John A. Kufuor Foundation and the World Food Programme, President Akufo-Addo noted that Ghana has performed quite well in her efforts at reducing hunger. Whilst paying tribute to the principal architect of this feat, President Kufuor, who, in 2011, received the World Food Prize for cutting hunger in half during his tenure as President, President Akufo-Addo noted that much work needs to be done to end hunger, malnutrition, obesity and micronutrient malnutrition in Ghana. 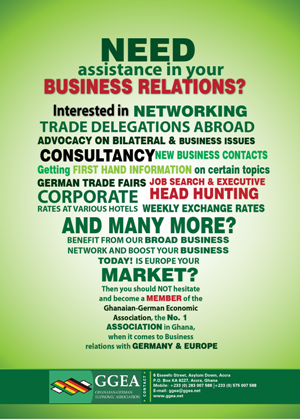 To this end, President Akufo-Addo noted that Government has, in the Co-ordinated Programme of Economic and Social Development Policies, submitted to Parliament on 13th November, 2017, proposed the reformation of agriculture and industry, spearheaded by programmes such as “planting for food and jobs”, covering some five hundred thousand farmers this year, up from two hundred thousand last year; the “one district, one factory” policy; and the “one village, one dam” initiative. These programmes, amongst others, the President stressed, will facilitate rural development and help achieve SDG 2 by 2030. To ensure food security and promote improved nutrition, the President stated that government is implementing some interventions, including institutional measures, to prevent food losses, such as the district warehousing policy; promoting the production and utilization of locally grown and nutrient-rich food; strengthening early warning and emergency preparedness systems; developing and implementing a nutrition strategy which adopts a life cycle approach to deal with malnutrition at all levels; reviewing and scale up the Regenerative Health and Nutrition Programme (RHNP); eliminating child and adult obesity; and promoting research and development in Food and Nutrition Security (FNS). Ladies and gentlemen, when you consider that women are the first line educators of our children, our communities, our nations, our region and our continent, it is obvious that we empower our children and community by empowering our women. We all appreciate that our women play a key role in achieving food security and improved nutrition. That is why my government has initiated. Whilst ensuring that women play an important role in achieving SDG 2, the Presiddnt stated that women-specific responses to facilitate the achievement of SDG 2 have been put in place. These, he said, include reducing cultural and administrative limitations that impede women’s access to productive resources, particularly access to credit and agricultural equipment. In seeing to the realisation of the Co-ordinated Programme of Economic and Social Development Policies (2017-2024), the President was confident that Ghana will be on the path towards ending hunger and malnutrition.